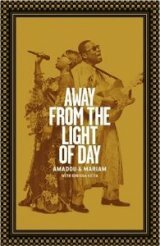 Written, in the main, by Amadou, tracing his early years in Mali, coming to terms with his blindness and subsequently discovering a love of, and natural ability for creating, music, Away From The Light Of Day initially left this (white, comfortably off, European) writer bloody thankful that he wasn�t born in a country where a perfectly treatable eye complaint could lead to blindness, and if it�s frustratingly light on the actual nuts and bolts of creating music in a country where bootlegged cassettes are the musical currency it is nonetheless a very revealing look at the cultural traditions and - to western eyes at least - the superstitions that make up the nuts and bolts of Malian life. In short there is hardship here on a level that people born in the west simply cannot imagine, and yet not once does Amadou bemoan his lot, in fact he remains upbeat and thankful for every minor victory, every helping hand, every small act of kindness he encounters along the way and his and Mariam�s eventual success, after many long years of hard slog, is as well earned as it is welcome. Think you�ve got it tough? You should read this, you really haven�t. 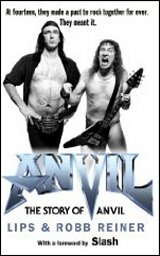 First things first, we come to praise Anvil not to rubbish them, their tenacity of spirit, their belief in the redemptive power of rock and if you have yet to see the film do yourself a favour and do so immediately. That said, whether you would actually want to spend any time in the company of Steve 'Lips' Kudlow and Robb Reiner or not would be entirely down to whether you enjoy the company of adolescent boys (albeit middle aged adolescent boys in this case) because the Anvil world is a very straightforward one where the majority of women are there for shagging (although to be fair Girlschool do get honourable �they rock� style mentions), guitars are played with dildos (snigger) and other bands are there to be blown off the stage by our heroes. Indeed it is this delusional, if rather endearing, adolescent state of mind that makes both this book and the film so entertaining. And lest we forget without their uber-heavy 1982 album Metal On Metal Metallica, Anthrax and Slayer may have sounded very different indeed. You probably wouldn�t want them in your house, or even your local vicinity, but you can�t help but applaud their lunatic perseverance. Now available in paperback. Never entirely sure how two people write a book (who holds the pen? 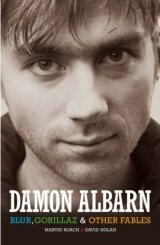 And whoever it was should really have checked more often for spelling mistakes) but this, unauthorised, biography charting the rise, stall, rise again and subsequent arrival in the grown up musical big leagues of Britpop poster boy Damon Albarn manages to rattle along at a very readable pace and isn�t afraid to call a duff album a duff album. It�s all here from the stage school years, the Britpop bust ups with Suede and the Gallagher louts the magnificent re-invention via the Gorillaz, the thoughtful dalliances with World Music, the idiotically monikered The Good The Bad & The Queen and the hugely over-ambitious but, remarkably, largely successful Monkey opera. Anyone hoping for acres of prurient dirt from the Justine Frischman/ Brett Anderson days will be sadly disappointed � Alex James Bit Of A Blur deals with the bands more hedonistic aspects rather more successfully � but this enjoyable study paints Albarn as a very driven, hugely ambitious man, a genuine music lover with a good deal more talent than most of his peers and an open minded approach to his craft that should ensure he�s around for the long haul.